Critical thinking, for all intents and purposes, refers to a person’s ability to think in a manner that is clear and rational and to understand the logical correlation between multiple concepts and ideas. It has been the topic of many of histories greatest debates. In fact, much of modern-day philosophy is based on the conversations had by Greek philosophers like Plato about man’s thinking strategies. How can critical thinking help you in your daily life? It encompasses a person’s ability to engage in reflective thought and to develop a thought process that is uniquely their own. Why Is It Important and What Can Assist You With This Issue? In order to think critically, it is necessary to call upon your objective reasoning skills and remain open-minded to actively learning. Critical thinkers regularly question the world around them and put great thought into new ideas or concepts rather than taking everything they hear and see at face value. The role of a critical thinker is to continually seek out new truths, to explore multiple sides of the same argument, to look at the whole picture and to be open to ideas and thought systems that might not necessarily be their own. Those who think critically are comfortable with identifying, analyzing, and solving problems systematically as opposed to doing it instinctively. They are driven by facts and figures rather than emotions and intuition. So how does critical thinking actually help you both in everyday life and with your studies? There are a lot of services that can offer you critical writing help online, browse a short list of our partners to choose the best one. Critical thinking is a specific manner of thinking about things. It is not the accumulation of knowledge and facts that can be learned and then used in a consistent manner over and over. How Is It Useful For Students, Researchers and People in General? It should be noted that none of us think critically all of the time. Some of us struggle with thought and idea management and others have difficulty remaining objective. That being said, there is tremendous benefit to learning to think critically. Luckily, for anyone needing help with critical thinking or learning, both are easily acquired skills. The most notable benefit to learning to think critically comes in the form of foresight. Having good foresight strengthens our ability to make sound and reasonable decisions. One of the simplest ways to improve our cognitive reasoning ability is through practice. Here is a simple exercise that might help. Who said / wrote it? Was it someone known to you? Was this person in a position of authority? Does it matter? What did they say / write? Did they provide opinions or facts? Did they provide evidence? Was anything omitted? When was it said? Was is said in public? Posted online? Were others given the chance to retort? Why was it written / said? Was an explanation for their opinion provided? Were they trying to make someone or something look better or worse? How was it written / said? Was there emotion behind it? Were you able to clearly understand what was said? Remember, that this approach to thinking often serves the purpose of arriving to the best possible solution or outcome in any scenario. Doing so requires collecting and evaluating all of the relevant information from as many different sources as necessary. In order to be a critical thinker, or to think critically, an individual must be capable of making a clear assessment, effectively exploring the strengths and weaknesses of the ideas they are presented with and having the foresight to determine all of the possible outcomes. There are times throughout your academic career where you will be asked to take a critical approach to your writing assignments and coursework. More often than not, these types of assignments will fall into the categories of essays, research papers and other analysis-based writing. As mentioned previously, not everyone has strong skills in every area. Even fewer have strong writing or deductive reasoning skills, as well as can apply critical thinking about research, which surely requires some training. This doesn’t mean that they should have to take a failing grade on their assignment. 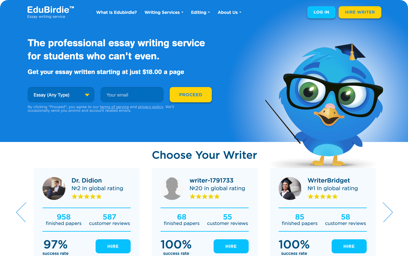 We have found the online services which have invested years into developing the strongest team of professional writers on the Internet, the writers who not only have advanced thinking and writing skills, but are also degree holders themselves, so they can offer you critical thinking help with your assignment. If you find yourself tasked with having to understand and analyze a specific subject, or with writing a critical essay that requires ample research and reasoning skills they are here to help you not only prove that you can demonstrate a real comprehension of the subject matter, but also analyse the problem and arrive at a tangible conclusion or solution. We take great pride in the network of recommended services we’ve built. They are helping students all over the world with their writing assignments, coursework, essays and more and can surely provide a good critical thinking help for your assignment. Whether you need a little bit of help or a lot, they are here to guide you. 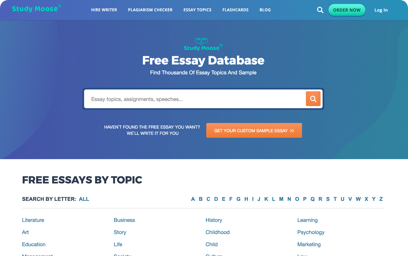 Their teams of knowledgeable writers recognize that all critical papers need to be logical and objective, while still being persuasive enough to convince readers to adopt a new way of thinking. 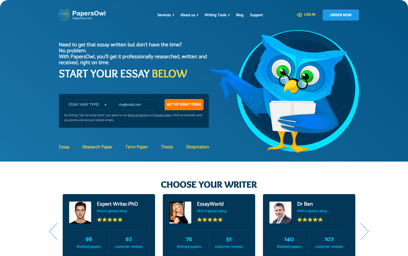 They are happy to help you create a fully customized paper that is on spec with your assignment requirements and capable of passing all plagiarism scans. Most importantly, because they do care about your educational success – and your budget – they will endeavor to meet all deadlines and strive to keep costs low. Part of their commitment to keeping costs low means offering no cost edits and amendments and free editing services. Contact their customer service team to learn more.